Mandy Moore was joined by the cast of This Is Us while accepting her star on the Hollywood Walk of Fame! 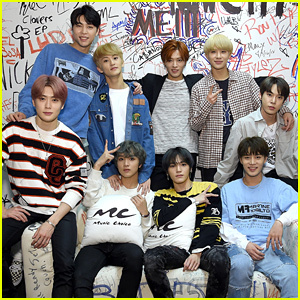 The group stepped out for the event on Monday afternoon (March 25) in Hollywood. Mandy was joined by co-stars Milo Ventimiglia, Sterling K. Brown, Jon Huertas, Justin Hartley, Chrissy Metz and Susan Kelechi Watson! “Hanging with some of my favorites,” Mandy wrote on her Instagram story ahead of the event. FYI: Mandy is wearing an Emilia Wickstead dress, Christian Louboutin shoes, and Beladora jewelry. Milo is wearing Ray-Ban sunglasses. Sterling is wearing Aldo shoes. Mandy Moore strikes a pose on the blue carpet as she arrives at the This Is Us panel at the 2019 PaleyFest on Sunday night (March 24) at the Dolby Theater in Los Angeles. 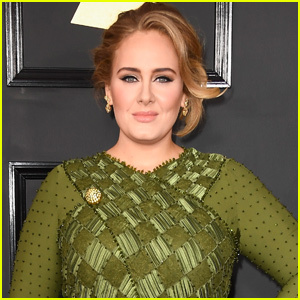 The 34-year-old actress looked pretty in a black outfit as she was joined at the event by co-stars Milo Ventimiglia and Justin Hartley along with his daughter Isabella, 14. Fellow cast mates at the panel included Sterling K. Brown and wife Ryan Michelle Bathe, Chrissy Metz, Susan Kelechi Watson, and Melanie Liburd. New episodes of This Is Us air on Tuesday nights at 9pm ET on NBC. FYI: Mandy is wearing a Stella McCartney jumpsuit and Versace shoes. Melanie is wearing Loriblu shoes. Jaime King strikes a pose on the red carpet while attending the Vanity Fair and L’Oreal Paris Celebrate New Hollywood Party on Tuesday (February 19) at Ysabel in West Hollywood, Calif. 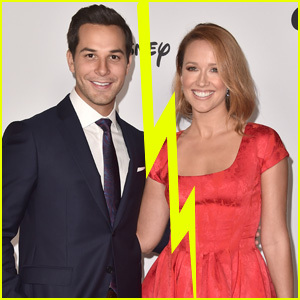 The former Hart of Dixie actress was joined at the event by Alex Landi, Danielle Macdonald, Rachel Bloom, Finn Wittrock, Ben Barnes, Taylor Hill, Jesse Metcalfe and his longtime love Cara Santana, Louise Roe, Joseph Mazzello, Destry Spielberg and Sarah Grey. Also in attendance were Annie Starke, Billy Porter, Ben Robson, Susan Kelechi Watson, Machine Gun Kelly, Karla Souza, Emmy Raver-Lampman, Jackie Tohn and Sydelle Noel. FYI: Jaime is wearing a Dior dress. Alex is wearing an AllSaints shirt. Susan is wearing a Thurley dress and Ileana Makri jewelry. 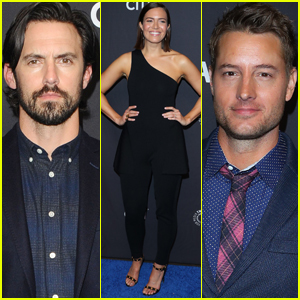 What's the 'This Is Us' Cast Like Between Takes? Susan Kelechi Watson Spills! 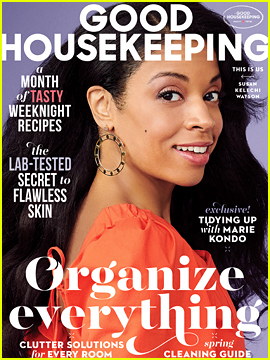 Susan Kelechi Watson is glowing on the cover of Good Housekeeping‘s March issue, on newsstands tomorrow (February 19)! For more from Susan, visit GoodHousekeeping.com. Katherine Schwarzenegger is all smiles as she strikes a pose while attending The Armani Box Los Angeles Pop-Up Store Grand Opening held at The Armani Box on Wednesday (February 6) in West Hollywood. 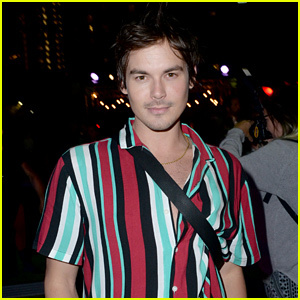 The 29-year-old author was joined at the event by Leighton Meester, Dakota Fanning, Susan Kelechi Watson, Christa B. Allen and Georgie Flores. At the celebration, attendees engaged with virtual makeup application stations, played with new launches, including Power Fabric High Coverage Stretchable Concealer and Foundation, and chose gifts from the Armani vending machine filled with iconic beauty products. Katherine just got engaged to Chris Pratt in January after being linked together since summer of 2018. Danai Gurira & Sterling K. Brown Were Almost Roommates! Did you know that Danai Gurira and Sterling K. Brown were almost roomies? The 40-year-old Walking Dead actress opened up about her friendship with the 42-year-old This Is Us actor – and her Black Panther co-star – during her appearance on The Tonight Show on Thursday (January 31). Hear what else she had to say below! FYI: Danai is wearing Ellery.